GE Fanuc Intelligent Platforms , a unit of GE Enterprise Solutions, have announced Proficy HMI/SCADA iFIX WebSpace, a new full-featured web client for the iFIX visualisation solution that enables informed decisions from anywhere, anytime ‘real-time-data-for-everyone’. iFIX WebSpace enables full control and visualisation capabilities over a company’s intranet or Internet system without the need to change or alter the iFIX application. iFIX screens and functionality are delivered seamlessly into a web browser requiring no additional development effort and can be set up within minutes. Like all GE Fanuc software products, iFIX WebSpace complies with the company’s open and layered configuration and works with the existing infrastructure. According to Claire Cerrato, General Manager, Automation Software Products, GE Fanuc, iFIX WebSpace’s plug-n-play capability expands a customer’s existing iFIX investment and provides real-time information across the organisation. The iFIX WebSpace product expands the native integration of iFIX with the other Proficy software products and the solution possibilities for the user. iFIX WebSpace caters to the need for easy-to-use, remote operational clients that are fast gaining importance in a market that is focused on delivering higher productivity through informed personnel. It provides companies with the option to extend their operational information to key stakeholders, who need it to plan, analyse, solve and ensure the least number of interruptions in their daily task executions to raise the overall efficiency of the organisation. iFIX WebSpace can be easily used in low-infrastructure-requirement, low footprint applications like building automation and security. iFIX WebSpace enhances the users’ system experience by enabling them to run multiple iFIX WebSpace clients, viewing many systems from one point. They can also launch multiple sessions from one iFIX system to view different aspects of a single application from one point. This new application has many flexible configuration topologies and features the ability to be installed on an independent dedicated server or on the main iFIX server. A dedicated server setup is typically used when a large number of clients are expected, allowing for iFIX WebSpace to utilise all of the server’s power to serve the connected clients. Additionally, multiple WebSpace servers can be installed to scale the total application to a larger distributed architecture and serve the customer’s stakeholders on a global scale. iFIX WebSpace screens are ported instantly from the iFIX application requiring no interaction, conversion, alteration or additional development, and this includes screens from prior versions of iFIX/FIX32 as well. 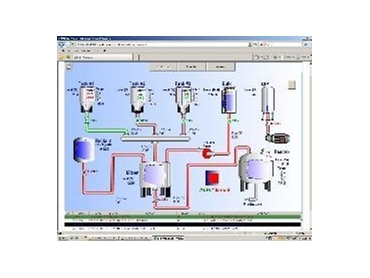 iFIX WebSpace provides a full-featured SCADA client delivered over the web. Users need not compromise on functionality and they need not re-write any of their current applications to get that accessibility. GE Fanuc is looking for ways to add value to real-time data and increase the agility of the customers. iFIX WebSpace provides a significant tool for customers to achieve greater consistency and efficiency in their operations.